I don’t think I’ve written about my loyalty to watching American Idol. I have loved it since the first season — ten years ago — when I began watching at the young age of 20. Annnnnyway. This year, with it being New Judges Year and no Simon, I didn’t think I’d watch much past auditions. Although, J-Lo is infinitely better than Kara and I didn’t supremely dislike her, either. But my continuing to stay tuned is a testament to the talent they procured this year, because these kids are really, really, really good. 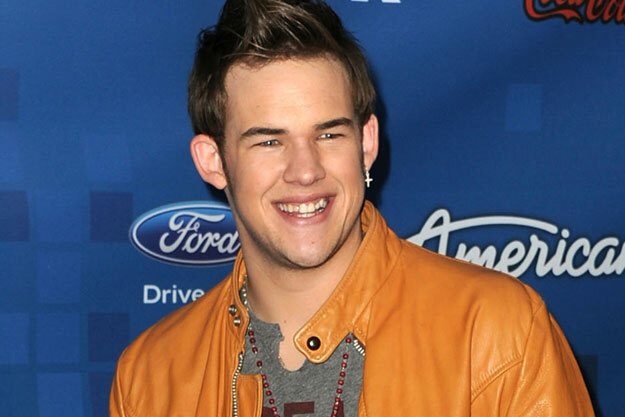 I really want a woman to win this year because they have talented enough ones in the bunch for sure (Pia, Lauren Alaina) but I think there is a dark horse that could sneak in – and his name is James Durbin. At first I thought, okay this guy has a great back story but we’ve seen him before in the likes of Adam Lambert. But after hearing him for a couple of weeks now, he not only has a different character and flavor, but his voice is much more Axl Rose-ish and he has started to exude control over those huge pipes. Case in point: “Maybe I’m Amazed,” the song he sang this past week, which really blew me away. I wanted to keep rewinding it and hearing it so I knew I’d check it out when iTunes finally released the singles for the week. I sampled all the people’s songs I liked, including Casey’s, Pia’s, Scotty’s, and even Lauren’s (sorry Lauren, need something better from you) but when I had to pick where I was going to throw my $1.29, it came down to James Durbin. As I write this, this song is on repeat. It is SO. GOOD. Whether or not you agree with my selection, I highly encourage you to check out this week’s songs on iTunes because at least one of these kids is going to be a huge star, but it wouldn’t be surprising if there were at least two. If you’ll excuse me, I’m going to play this song a few hundred more times while I clean my house. Update: I no longer watch American Idol. It ran its course for me. I endured the season with Randy, Jennifer Lopez (whom I actually liked as a judge), and Steven Tyler, but once they moved on to the new Loathsome Foursome, I was done. It was a great run!